This fixation system sold by France Trampoline is made of several different components including the U-shaped screws that ensure that your two posts are held in place without using any other type of screw. 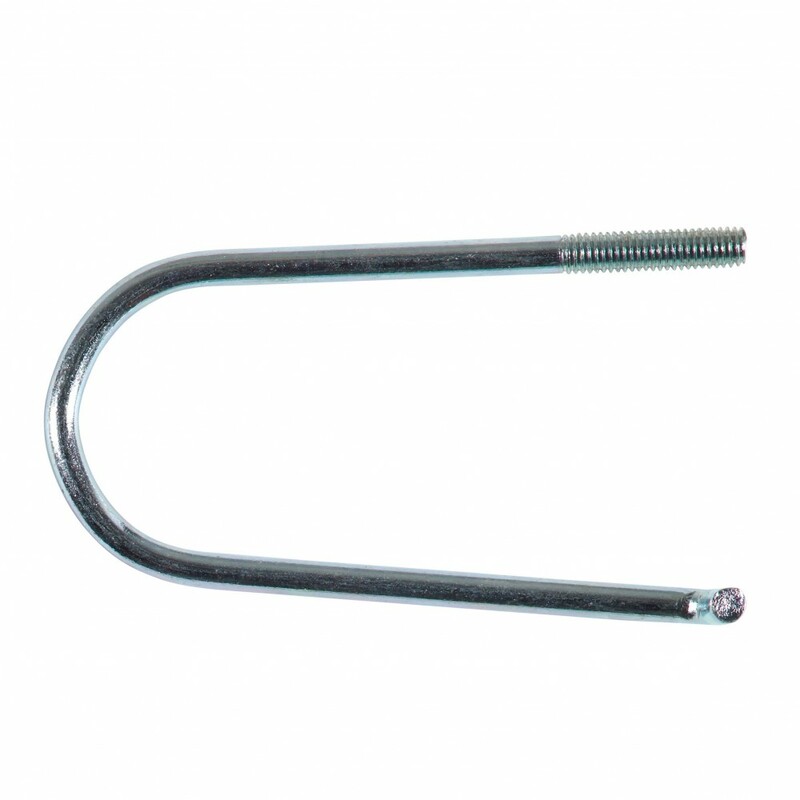 The U-shaped screws are made from galvanised steel and can stay outside all year round. This pack of screws is made for enclosures with steel posts measuring 25 mm in diameter. These screws are not adapted to our latest range of posts (2010) measuring 38 mm in diameter. This pack does not include the other fixation components such as the black plastic struts, the nuts or the safety stoppers.